Our massage therapist at ToThePoint Massage is Barbara Gropl from Germany. Her husband Ivo usually answers the phone while she is busy. 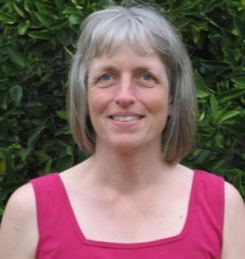 Barbara has been an accredited sports and remedial massage therapist since 2012 . She also is a member of The Australian Traditional Medicine Society (ATMS). ATMS is Australia's largest association for Massage and other natural therapies. Barbara fell in love with massage therapy while she was suffering from a pain in her back, shoulders and legs. Massage Therapy / Trigger Point Therapy helped her to get rid of her pains and has kept her muscles pain free since then. Barbara gained a thorough knowledge of the human muscles through an extensive home study of muscle anatomy, muscle pain and massage. In addition, she acquired a Diploma in Remedial Massage at the Natural Health Academy in Adelaide that includes two Practitioner Diplomas (Diploma of Sports Injury Massage and Myotherapies). Massage therapy is not merely a job for Barbara, but a passion. Due to her own experiences, she is convinced that everybody can greatly benefit from remedial massage therapy.